A consistent outcome happens to those pursuing a challenging personal training regimen; it's called the "plateau effect." 1 After the initial strength increase and early weight loss, a person may find themselves stepping on the scale and seeing the same number, regardless of the personal sacrifice made by pouring less sugar or cream in their coffee, or having one less muffin for breakfast. This effect is more psychological than anything else, however, as it's been proven that the body, like any organism, takes time to adjust to new circumstances. And once that adjustment is made, the athlete or dieter can continue to benefit from tangible progress. It's an apt metaphor for the crypto market at present. As utility-based cryptocurrencies like XRP begin to intersect with market conditions and industry recognition as legitimate solutions to liquidity problems, the status quo within the crypto markets begins to shift and recognize that the overall ecosystem has changed. Perhaps at first you will see divergence in price behavior - not all at once, but occasionally. 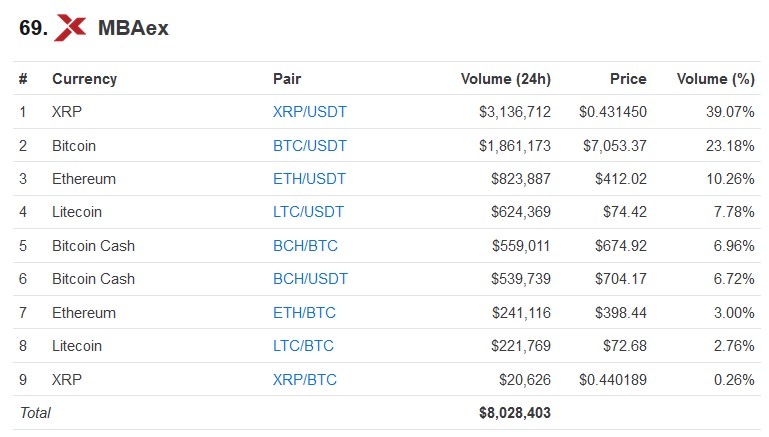 We've just seen examples of this in the past week as the market seemed to temporarily decouple XRP and Bitcoin price behavior for days at a time. The organism in this case is the crypto market, and the regimen in this metaphor is a new diet high in nutritious, use-case-based digital assets starting with XRP. Will the crypto market change overnight? No. Like any exercise and diet regimen, change takes time; but the end result will definitely be worth the effort. Our goal is a new global economy driven by decentralized cross-border payment processing, and the ability to send value at the speed of light. The article cited numerous reasons why Bitcoin faces declining use, including its high fees. The bad news for Bitcoin continued with an article from Wired magazine that described a growing concern over the proof-of-work cryptocurrency's energy usage. Stephen Armstrong, the article's author, described how multiple Bitcoin mining operations are now seeking locations close to hydroelectric power, in an effort to leverage inexpensive energy. 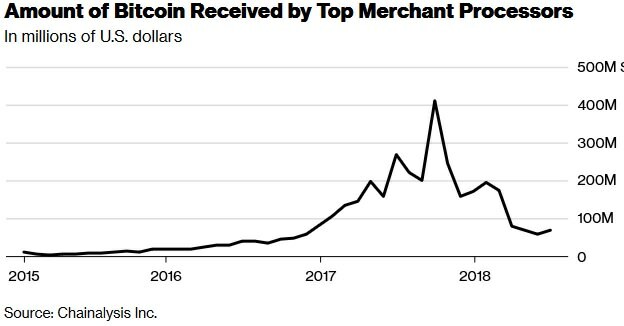 "In spring, the People’s Bank of China started shutting off power to large server farms mining bitcoin while, in June, the regional government in the Canadian province of Québec blocked all new requests for hydroelectric power from cryptocurrency-mining operations. In Iceland, the finance minister has warned that cryptocurrency mining – which uses more power than the nation’s entire residential demand – could severely damage its economy." The article, in the context of the current crisis with global warming, underscores the need for the world to fully educate itself that the 'first cryptocurrency' is not their only choice. While early investors in Bitcoin - and those that derive income from mining - would like the public to think that 'proof-of-work' validation is the only way to use decentralization to validate transactions, that is simply not the case. "There are a lot of alternative frameworks that provide for the same level of functionality for less energy. There are lots of central banks around the world looking at working with cryptocurrency – this electricity tussle should help them decide what will work and what won’t work." Ripple released a new video that demonstrates how SBI Remit works. The video, posted on August 3rd, exemplifies how xCurrent, Ripple's ILP-based tool for payment messaging, can completely replace the aging correspondence banking network rails and facilitate real-time settlement of remittances. The video focused on one specific example; how Thai workers in Japan can use it to send money home to relatives at a fraction of the current cost, and also do it immediately; the old system(s) typically involved exorbitant fees and took up to a week to complete. In contrast, if a worker has an existing account in Siam Commercial bank in Thailand, and uses SBI Remit in Japan, it can complete "within minutes." The video is a compelling piece of evidence about how Ripple's solutions are quickly catching on worldwide to provide a new customer experience, not just for the specific demographic group mentioned in the video, but for any worker that wants to send money back home to their family or relatives. 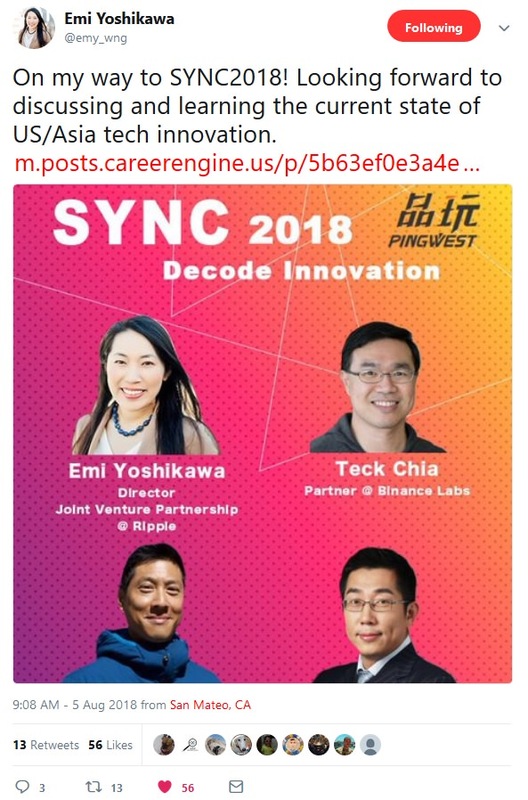 "...dynamic discussion and exchange of knowledge, insights, and opportunities on the things that will matter most in technology and innovation." This episode featured updates about SWELL, a preview of Ripple's New York Office, and an introduction of Ripple's 2018 summer intern class. Austin Cowden, Ripple's Manager of Global Events, gave a brief introduction about how SWELL, Ripple's annual conference, will include Bill Clinton, the 42nd President of the United States, as a keynote speaker. Austin Cowden also revealed that the theme for this year's SWELL Conference is "Be Connected," which is a nod to Ripple's growing RippleNet network of banks and other financial services organizations. The video included content from Hana Kelley, Ripple's Visual Design Lead. She gave a mention to an art piece that was gifted to Chris Larsen, and discussed the overall design for the New York Office. Spoiler Alert: Reinhard introduces Ripple's 2018 interns, and you might recognize one of them if you pay close attention. All beginnings take time. 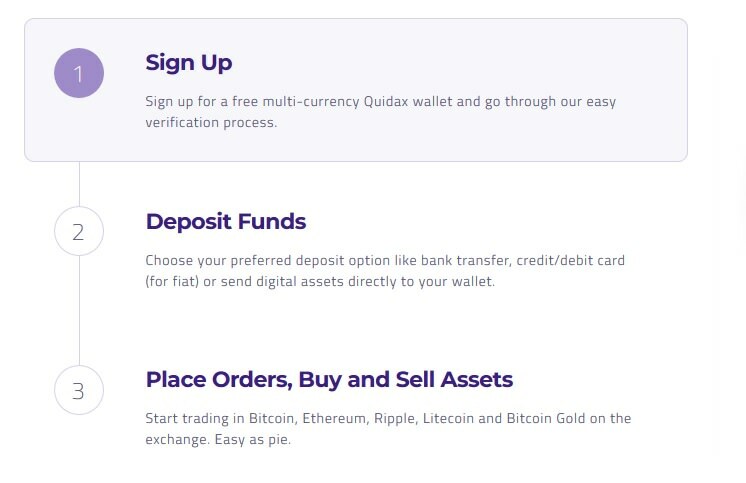 While Quidax only recently opened for business, do not discount the power of this exchange's willingness to be the first to specialize in servicing customers from Nigeria. 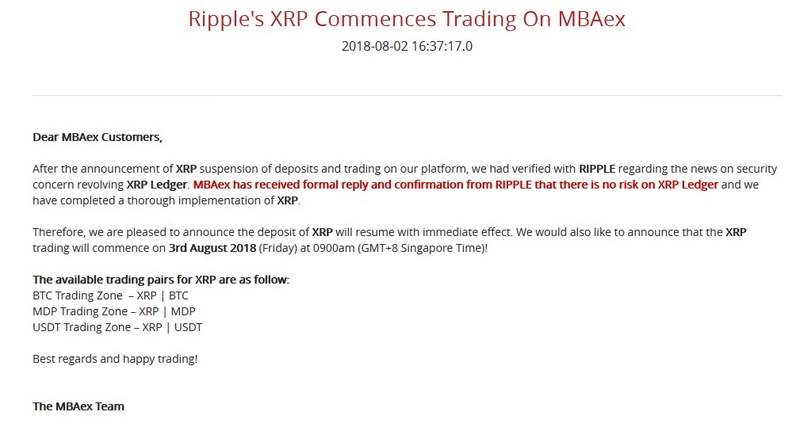 Like many other new exchanges in diverse regions of the globe, MBAex will need time to grow its volume organically; but if XRP's quick start out of the gate is any indication, both MBAex and Bitrue might become prominent exchanges in the Singapore market for the XRP ecosystem. Time will tell. The fund is specifically targeted only to high-income investors. Only investors with a certified net worth of $2.5 million (AUD) or more will be allowed to invest in the fund. The fees are not insignificant; they run at 1.8 percent for the mixed asset fund that includes XRP. Even despite these limitations and fees, the fund is one more noteworthy addition to the space already occupied by other funds targeting crypto. 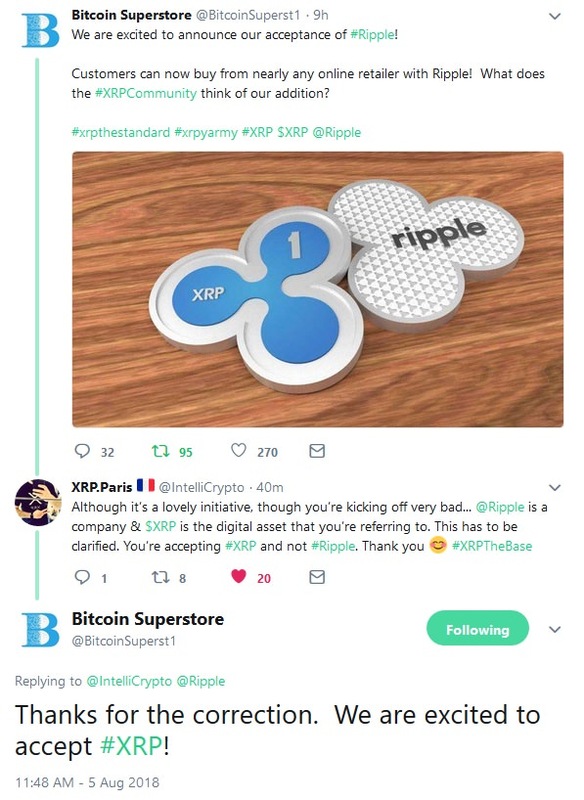 The addition of XRP support met with enthusiasm after the announcement: It's one more way that XRP owners can utilize their 'zerps' for making purchases online. "Secure Block Chains is happy to bring another 1000XRP give away to the XRP Community. This time we are asking the community to help us design the new Secure Block Chains logo and the new app icons for both the desktop and mobile versions of Harbor. Throughout the month of August you can submit your designs to us for consideration. You may submit as many design variations as you would like. Below you will find specific design requirements for each project. 500XRP will be given to the designer of the logo selected to replace the existing Secure Block Chains logo. 500XRP will be given to the designer of the logo that is selected to be the new Harbor logo." It's exciting to see the second contest with significant prize money hosted on XRP Chat within weeks of the previous one: For more information, graphic artists should contact Secure Block Chains or Daniel Carroll directly on XRP Chat. 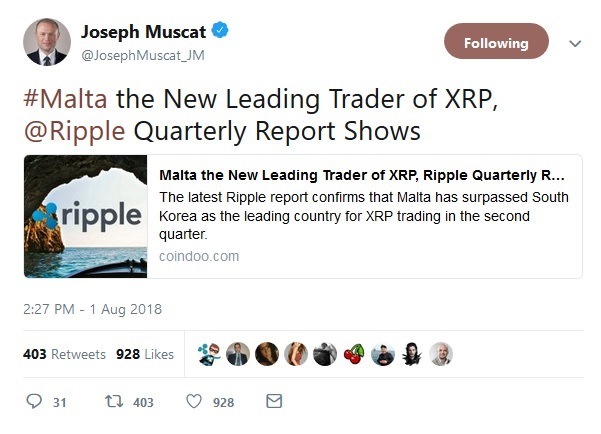 It's a high-profile mention from the prime minister of one of the leading crypto-friendly countries in the world; and I think that Malta will continue to play a large role in the crypto markets for many years based on their support of companies that are innovating with blockchain technology. Brad Garlinghouse knew that use case-driven digital assets would eventually upend the cryptomarket; when it came time to structure a liquidity-sourcing solution within the various Ripple software solutions, the choice was obvious. The use cases for XRP are legion and growing. While originally visualized as an international bridge asset for transferring value across borders, XRP can also support micropayments, using Payment Channels. And this is no add-on layer of software like Lightning - it's a native capability of the XRP Ledger. Because of this carefully-planned feature, all the use cases for micropayments now apply to XRP. In regards to smart contracts, Codius is configured out-of-the-box to integrate seamlessly with XRP. Coil is now proposing the Web Monetization standard for browsers, with the potential to reconfigure users' browsing experience and content access, giving them the power to avoid invasive advertising as the price of entry for so-called 'free' Internet applications. Even before that point, expect to see decentralized applications run on Codius servers that will eventually upend Ethereum's first mover advantage. The crypto market is now recognizing that change has arrived - and it sorely needs it. XRP and its ecosystem components will deliver on the promise of blockchain technology.